Yesterday, The New Yorker ran an interview with Elena Milashina, the Russian reporter who broke the news of Chechnya’s anti-gay purge. The article provides important context about the difficult relationship between Chechnya and the federal Russian government; the terrible human rights situation that has existed for quite some time in Chechnya, particularly for women and political minorities; and the history of the unofficial prisons where gay men are detained. In the interview, Milashina explained that the prisons are not new, as was sometimes reported in Western media. Nor are they particularly secret, since the United Nations already had documentation of their existence before the campaign started. Rather, Russian forces built them during the Chechen Wars in 1994–1996 and 1999–2000, and they have been used for years to illegally detain people without trial. However, the targeting of men suspected to be gay is new, and their treatment particularly harsh, she said. 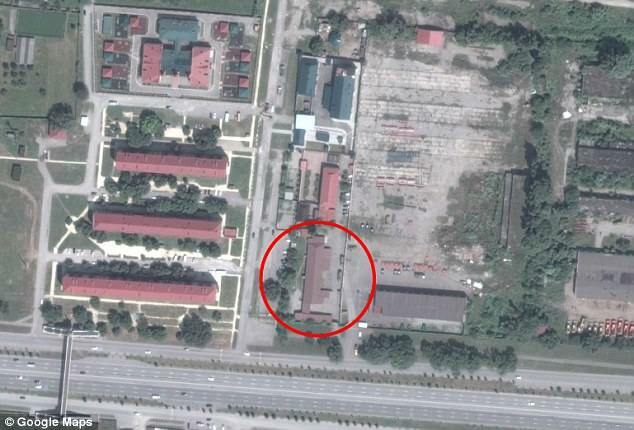 A former military base in Argun, Chechnya, identified as detention center. Image Ⓒ Google Maps. Milashina also had some interesting things to say about the Russian federal government’s response to the crackdown. She interpreted its failure to act less as callousness, and more as unwillingness to believe they weren’t in control of Chechnya. But then it’s clear they transformed. They went from saying such a thing is impossible to saying there are no victims, and when those victims met with official state representatives they said, “O.K., but we still don’t have formal criminal complaints.” And now Kremlin officials are saying that it is necessary to create a commission to guarantee state protection to victims in order to secure their testimony. Find answers to frequently asked questions about the situation in Chechnya and the organizations helping gay and bi Chechens here: FAQ on Russian LGBT Network and gays in Chechnya.